Back in January, Nelly had reportedly broken up with Tae Heckard, the woman he dated shortly after breaking up with Ashanti. Looks like the relationship didn’t last too long because it’s seems as if he and Ashanti are back together. Keep in mind that Nelly and Ashanti were dating for 9 years previously. The two have been spotted together and pictures show Ashanti wearing Nelly’s chain a few weeks ago. Ironically, it was the same chain fans seen Tae Heckard wear a while back. Both Nelly and Ashanti have never verbally admitted to being back together. 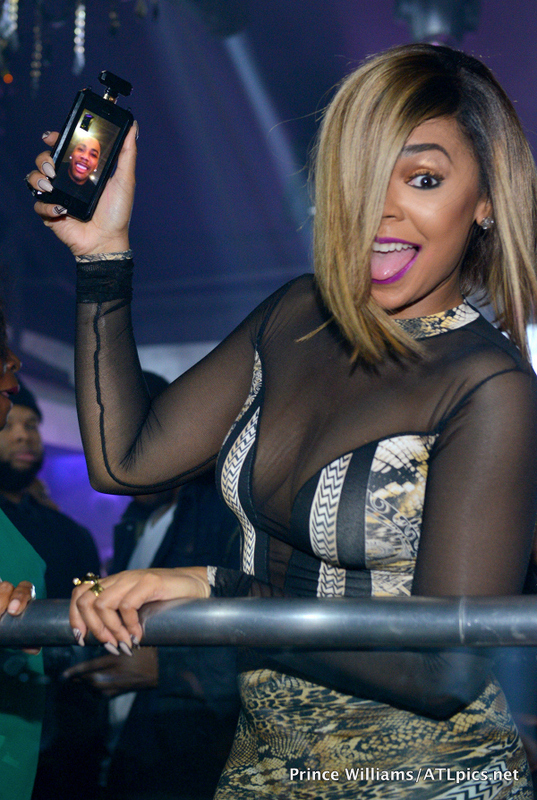 It was seen on various media sites a picture of Ashanti skyping Nelly at the club during her “BraveHeart” album release party. The smile on her face was priceless. Just this morning, Nelly posted his #WCW (Woman Chuch Wednesday) on Instagram and it wasn’t a picture of Ashanti. Ms. Lashontae Heckard is apparently his woman crush for the week. Who does Nelly want to be with? 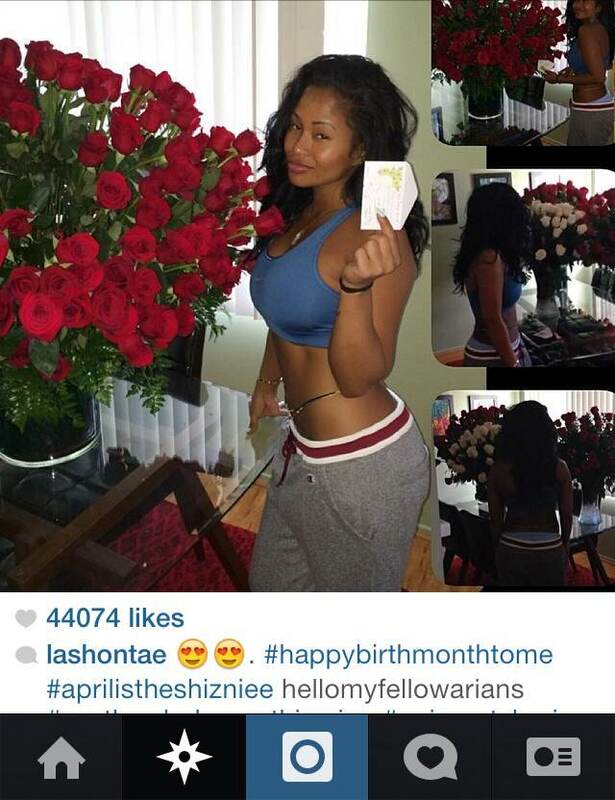 Looking at Lashontae’s IG (Instagram) account, she uploaded a picture of her standing next to 500 roses to kick off her birthday month. Did Nelly send these flowers to her? If so, this doesn’t surprise me. I think we’ve all experienced meeting or dating a ‘Nelly’ kind of guy. He’s the type of guy that goes back and forth from his ex to his next who becomes his ex. Confusing right? Is it better to stay away from commitment so all parties involved know what they’re getting themselves? Nelly is just too old to play these games.